Internal marketing is the first place to start to reach your goals. I recommend increasing your referrals, reactivating past patients, retaining existing, and providing more education to your existing patients on the different ailments and conditions you treat. The first place to start is to boost your existing referrals. This is the most affordable and effective way to grow your practice. 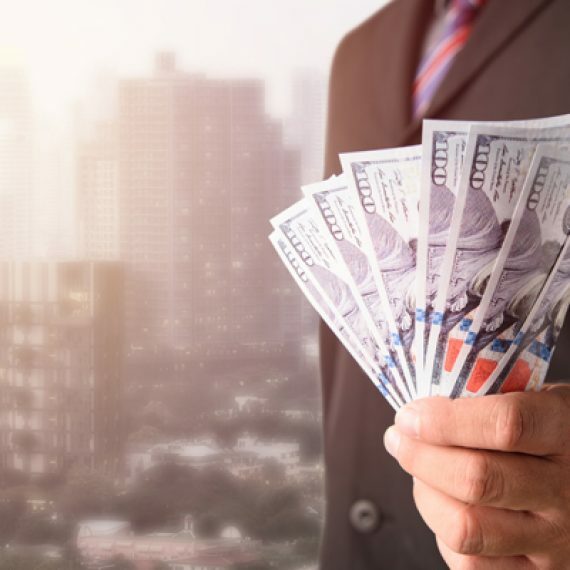 As a Return on Investment Guru, I always recommend starting by boosting referrals as this typically produces a 10 to 1 ROI. The Referral Booster provides your existing patients education so they are more aware of the type of ailments and conditions you treat. This goes beyond the conditions but we place a lifestyle and highlight a specific type of person to refer. In addition we provide an incentive to refer that follows your states laws and regulations. To start a basic quarterly campaign will suffice. This will provide a different campaign each month. I recommend having a referral program last for a set period but then not having one for a period of time so that your patients don’t feel there is always some referral option and they will not be as responsive. 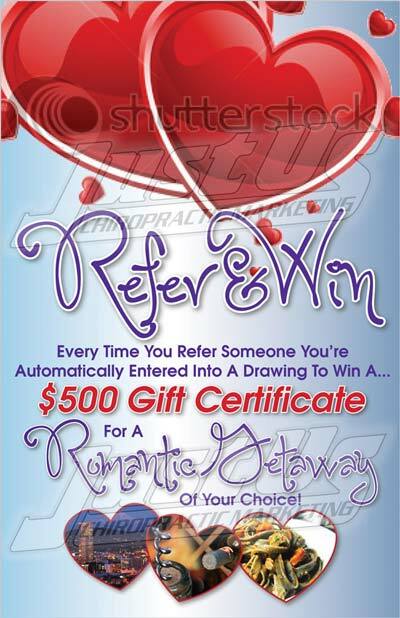 Our Referral Booster includes custom strategic designs customized to your practice, in office posters, referral cards and training to your patients. This starts at only $97 per month. In times you are not running a Referral Booster, you should have educational posters and material to hand out to patients. 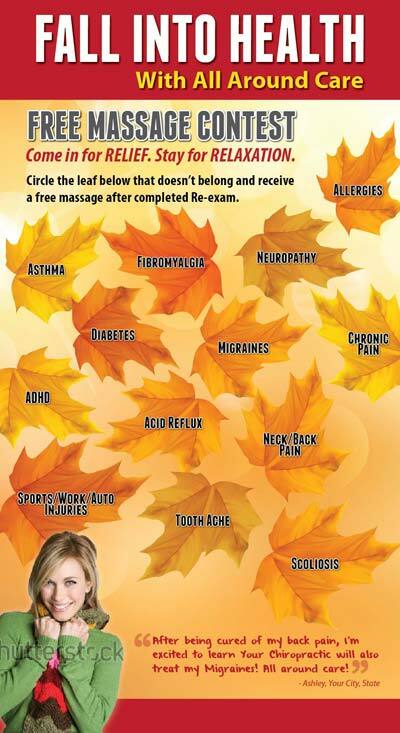 We have a selection of different ailments and conditions you can choose from. 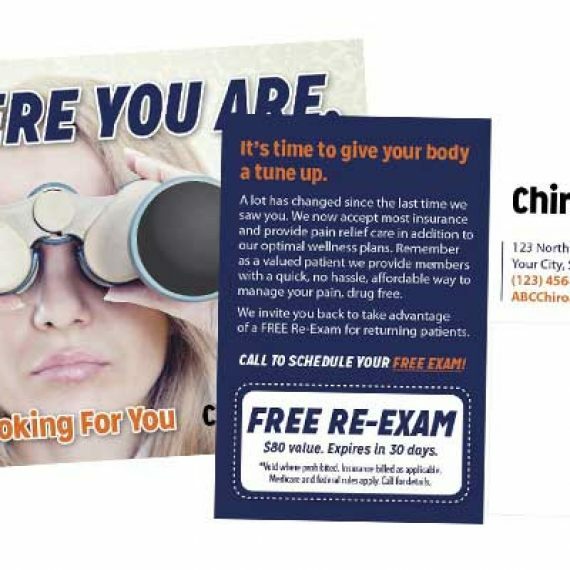 If you want a batch of 12 different ailments campaigns customized to your practice we will provide the custom design and printing for you. 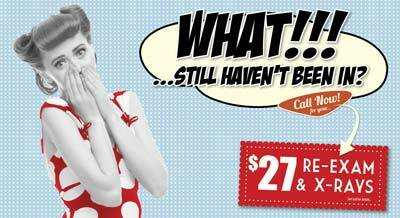 For 12 different ailments price starts at only $597. Then I recommend Reactivating old patients. One point of contact inviting them back will not do the trick. Instead we want to overcome some of the objections on why they left then over a period of 4 different points of contact get them back in the practice. We typically go back 18 months to 2 years. We will run your excel patient list through an NCOA (national change of address) database to update addresses and remove those that have moved outside the area. In addition we will remove duplicates and only send one to each household. 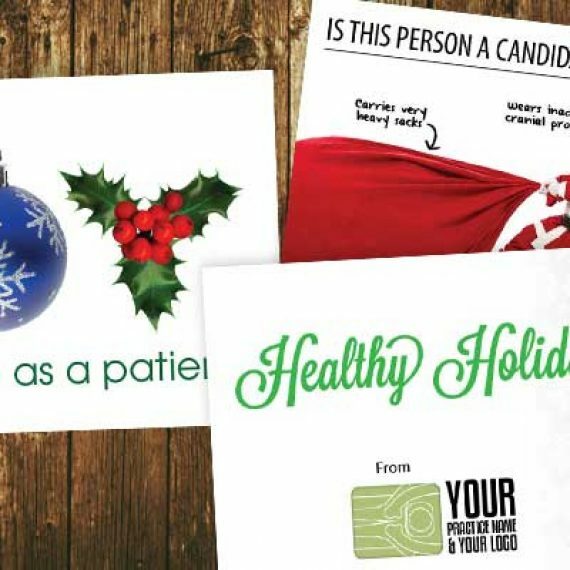 Each household will receive a campaign of mailers customized to your practice highlighting what has changed in your practice, a reexam offer, and enticements to return. After we have reached each person four times we call each person on your list to schedule a direct appointment with your practice. This is very successful. It is easier to get old patients back in the practice than it is to get new ones. 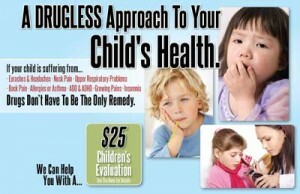 For a 500 inactive patient list we are looking at $399 per month for a 6 month campaign. 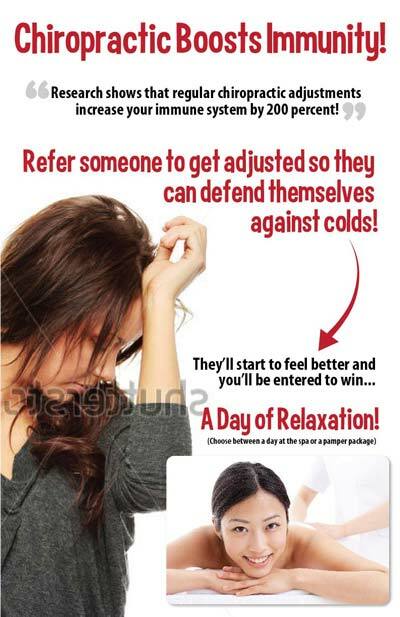 while a 1000 inactive patient list is $599 for a 6 month campaign. The biggest mistake most businesses make it they focus on getting new all while neglecting existing and old. It is very easy and take very little investment to keep your existing patients, increase their visits, and increase their referrals. I call this shutting the back door to your practice so it isn’t such a revolving door. The most effective and affordable method to do this is to send a big over sized postcard to your patient base called Behind the Scenes. 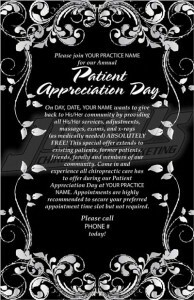 We customize the postcard to your practice. It is not filled with a bunch of health topics but is rather more interesting to your patient base. Combining this with a email newsletter doesn’t hurt. This is a more difficult campaign to track since retention isn’t immediate but rather your active patient numbers and overall income will increase. Price varies depending on the amount of active households to send to. 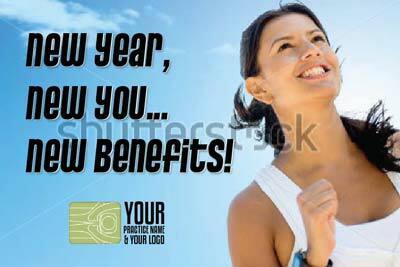 Be sure you reach out to your existing patients 3 times per year to remind them to use their insurance benefits. Always send them a reminder in November that if they don’t use their benefits they lose them. Let them know they can pretty much double their coverage by using their benefits end of year then again when they renew in January. 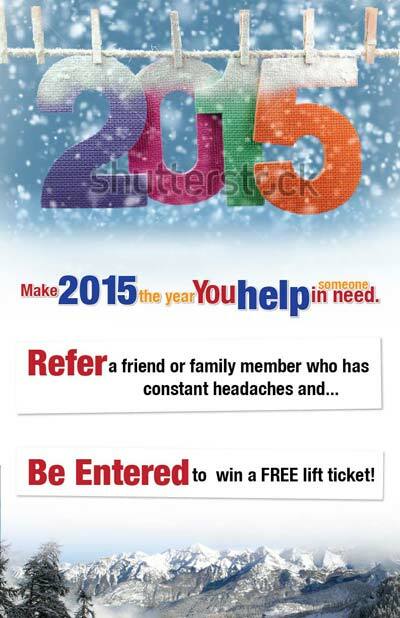 January is a great time to also remind patients their benefits renewed. 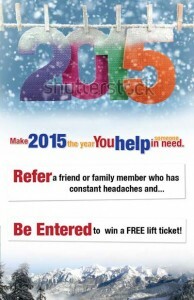 I recommend doing a July postcard to remind patients the year is half over and to use their benefits. 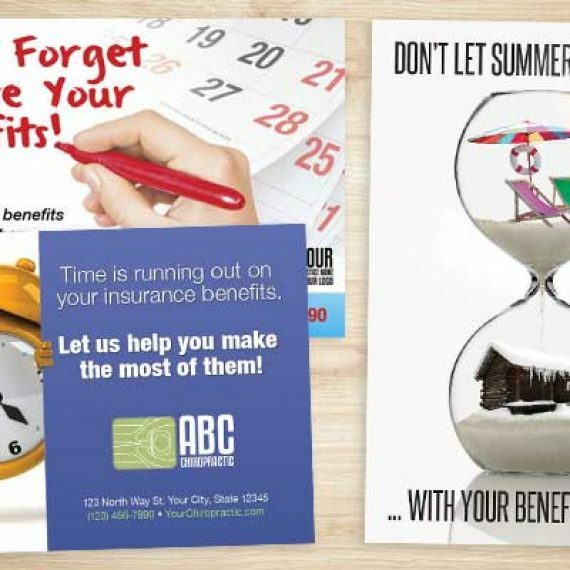 We have many different insurance reminder postcards and letters to choose from. 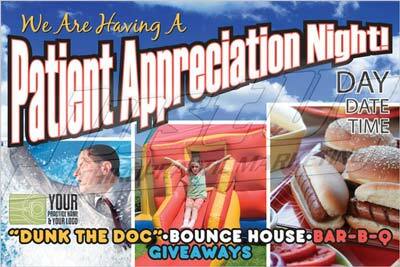 I definitely recommend you host a community appreciation event in the summer. 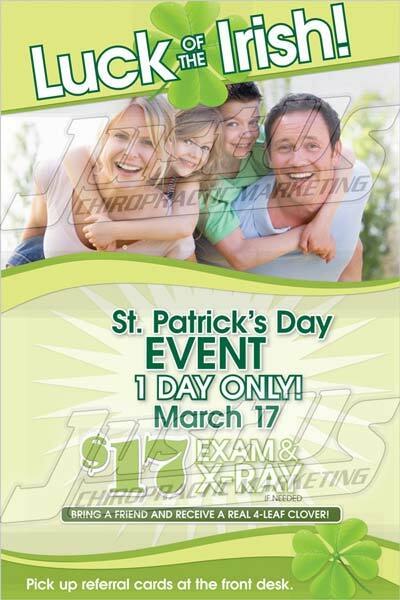 This isn’t really an internal marketing event since you are inviting the community around your practice. Make it fun with a BBQ, invite the fire department to do child safety checks, have a dunk the doc tank, get some other businesses involved and make it a big fun event. 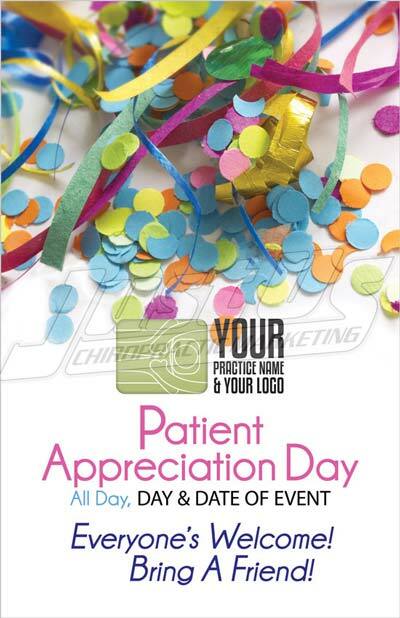 To assure a successful day, I recommend you obviously promote it from within your practice, but also send postcards to the neighbors and businesses around your practice. Start promoting it a good month in advance. 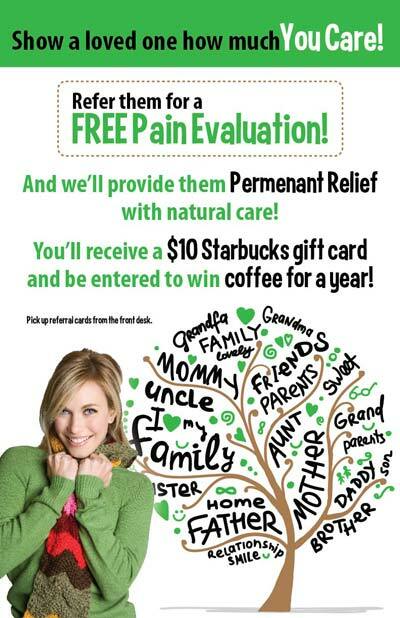 Have a new patient offer, provide screenings and massage if you have it. You should see an easy increase in 20 new patients. As far as new patients (external marketing) goes, my recommendations are Personal Injury marketing, new patient postcards highlighting specific ailments and conditions to targeted lists around your practice, telemarketing, positive online reviews, and a strong presence online. To start with online, most practices spend WAY too much money on adwords and SEO. 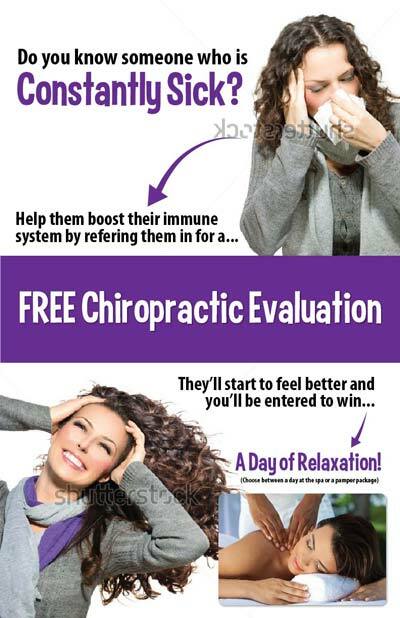 People do a Google search for a chiropractor when no chiropractor in the area has done really effective marketing. 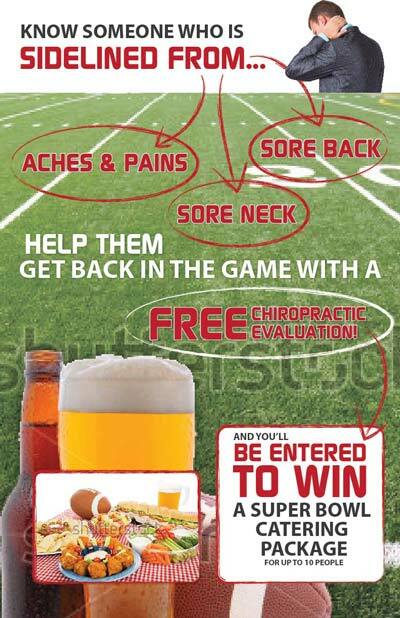 It is like in the old days for someone to go to the yellow pages and look under chiropractor. While if you do effective direct marketing they are going to look up your practice name in the white pages, or in today’s terms Google your practice name. So I don’t recommend spending thousands to optimize your site each month or to spend on adwords. Instead make sure your site has good on page optimization, be sure you have good ongoing positive reviews, follow Googles guidelines, do some adwords if you want, and if you really want to spend more money than keep it small for SEO. Putting up some creative videos will get you more hits and will also help with SEO. We have a lot of different videos ideas you can do yourself or we can customize them for you. To get good online reviews is a simple task but it does take time. 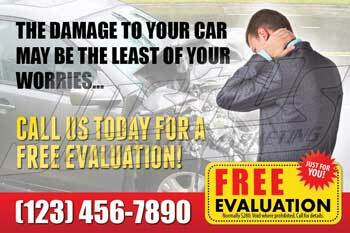 We have proven solutions to help you. You don’t want to put up red flags and get your reviews taken down so you have to be careful not to overwhelm review sites all of a sudden. Since SEO is such a hot item right now and many docs are spending over $2000 a month on SEO this provides a huge opportunity! There is less competition in the market place for direct marketing! 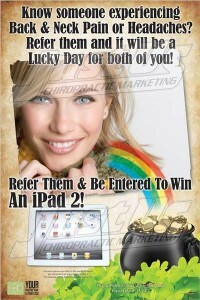 You can swoop in and snag a ton more patients who will never even go to Google with proper marketing. I recommend direct mail to a targeted mailing list. We can get a list based on demographic criteria or we can get more specific and target people with back pain, headaches, sciatica, and other ailments. Either way, your best patients are not really going to live or work more than 20 minutes from your practice. So let’s start closest to your practice and work our way out over time. 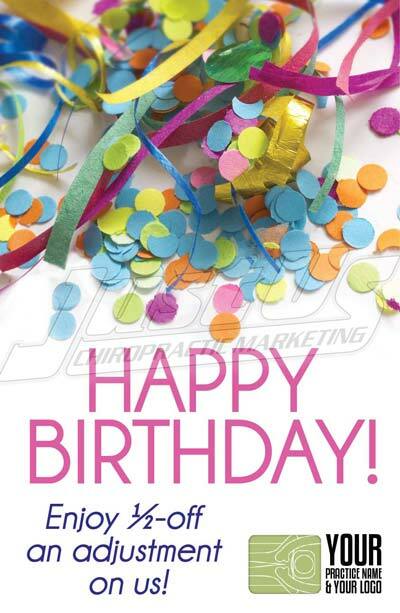 The only disadvantage to direct mail is that it takes time! Like all effective mediums it does get better over time. The rule of 3 points of contact is very true in direct mail. By your 3rd point of contact to the same group you will see why direct mail works! Effectiveness only gets better, that is why as you start to enjoy the fruits of the marketing, you don’t want to stop reaching one area and go to another, but instead just reach more people while continuing to reach the ones you started with. 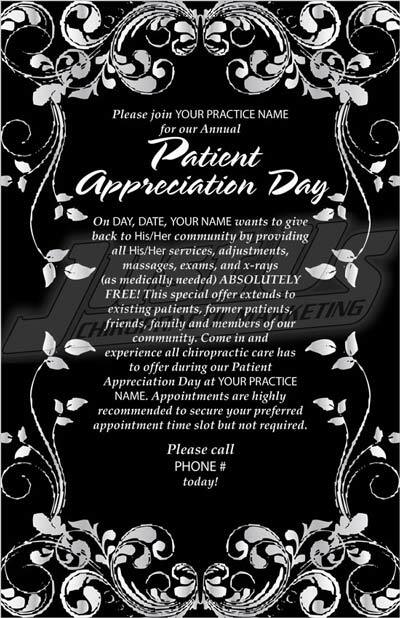 You want everyone who lives and works around your practice to think of you when they are in pain or think of a chiropractor. Out of 2500 postcards you will see an average or 10 patients in about 3 months. Results get better over time. Out of 5,000 you will see about 25. 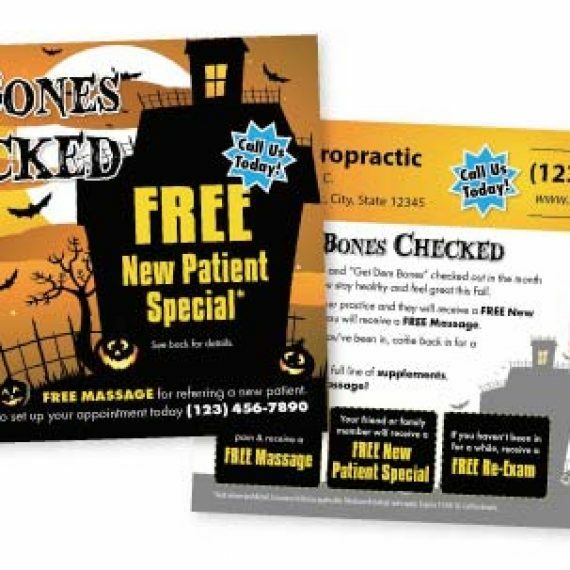 We have 1000’s of direct mail pieces and will customize one to your practice and your goals. 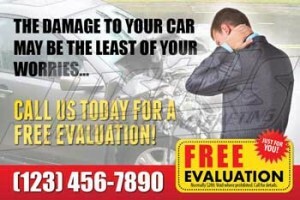 Personal Injury Marketing provides high returns! 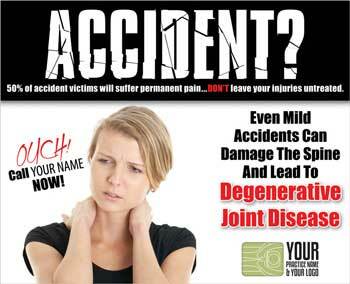 I can guarantee you new patients each month by marketing directly to auto accidents. This campaign is called the Secret Weapon. We do all the marketing and prequalify the patients to assure they have insurance and a valid injury. We schedule them with your practice so you don’t have to do anything other than treat them and give us a report back. If someone isn’t qualified they don’t count towards your guarantee. We don’t stop marketing when we reach the minimum but instead we market to the accident list to its entirety. 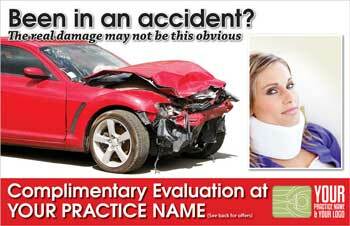 The other PI Marketing direction I recommend is marketing directly to auto accident professionals. 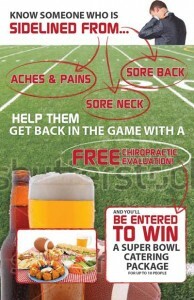 Now I know most chiropractors market to attorneys, but I am talking about taking this to another level. Go where they fish bite but no one is fishing! I’m talking auto body shops, PTs, massage therapists, Towing companies, Insurance agents, ER docs, Naturopaths, Osteopaths, and so on. This isn’t a new strategy and some docs have tried this, but most have failed. The key is having the right presentation with the proper WIIFM (What’s In It For Me) approach. We used to do this for offices all around the nation. 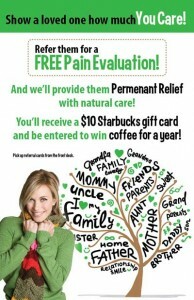 We found that when we worked with a marketing person from the practice we had awesome results! We have now modified the campaign to assure everyone succeeds. We provide a step by step manual that guides you on how to create these relationships. It includes letters, scripts, WIIFM, EVERYTHING for different industries. 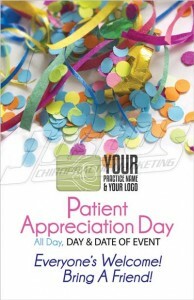 Then we provide 50 different custom designs for your practice. 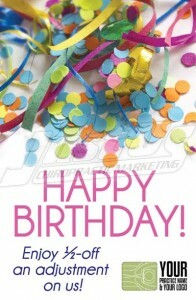 From brochures to business cards, letter head, postcards, 1-sheets and much more. 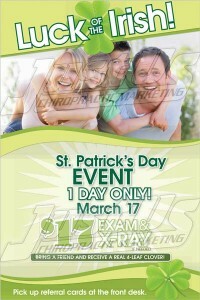 Everything you need to effectively promote your practice. Then I provide 3 months of coaching to the person implementing the campaign. Lastly I back it all up with a Money Back Guarantee! If at any time you need help we can step in and assist with the campaign. Other PI marketing I offer are Accident lists, PI Postcards, PI marketing materials, PI coaching, PI websites, and PI telemarketing. 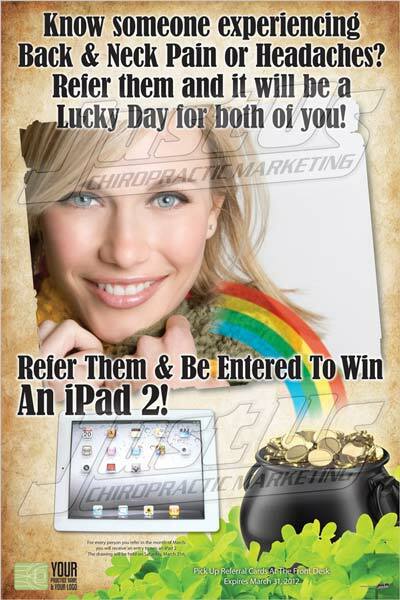 Telemarketing for general chiropractic patients is a very effective method to grow your new patient base. 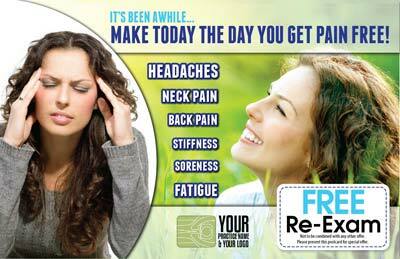 We provide this service for a very reasonable rate and guarantee new patients. Our starting rate is $350 per patient we schedule who is a quality show for your practice. Your practice name is never revealed until a person is ready to schedule. So to summarize, there are a lot of options that include Referral Booster, Reactivation, Retention and in office education and Insurance reminders for Internal Marketing. I would definitely do internal marketing if I were you because it provides the highest return on investment (perhaps PI marketing can come close). If nothing else do the Referral Booster it is cheap and effective. For external marketing, you have events, SEO, Reviews, Auto Accident Referral Network to build long-term referrals from other PI professionals, Targeted Neighborhood mailings around your practice, telemarketing to targeted lists of people with specific ailments. I look forward to working with you and helping you exceed your goals.